It may sound like bitterness talking, but it’s simply point of fact in the life of FRAZE GANG guitarist / vocalist Greg Fraser. He made a name for himself with BRIGHTON ROCK in the ‘80s, quietly sat out the grunge era through the ‘90s, returning to the grind in the early 2000?s for the love of making music rather than trying to cash in on past glories. That said, Fraser had no delusions about breaking the bank with Fraze Gang’s self-titled debut in 2006 (issued via Bongo Beat Music in 2008), especially not with the beating the music industry was taking at the time (and continues to endure). For better or worse, however, he has retained an old school way of thinking with regards to marketing and exposure. 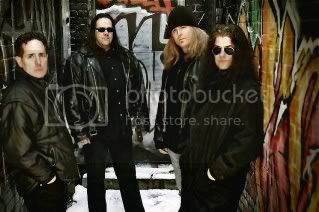 Between the 2008 release of the band’s debut and their new record, simply called Fraze Gang 2, the trio opted to release a pair of digital-only singles (‘Juggernaut’ and ‘Don’t Call Us’) complete with b-sides. It was something of an experiment, embracing “new” technology to keep the fans happy while the band worked on material for a full length album rather than making them wait. At the very least the singles kept the Fraze Gang name out there, but Fraser isn’t convinced it’s the way to go. Fraze Gang 2 features the previously released songs and six new tracks, making for a full length album. It also features extra firepower in the form of new guitarist Derek McGowan. Initially hired on as a live session player, he became an important asset to the Fraze Gang sound – rounded out by Brighton Rock bassist Stevie Skreebs and drummer Phil Epp – so much so that McGowan was invited to join as a permanent member. Adding even more fuel to the Fraze Gang engine, the new album was mixed by veteran Beau Hill. 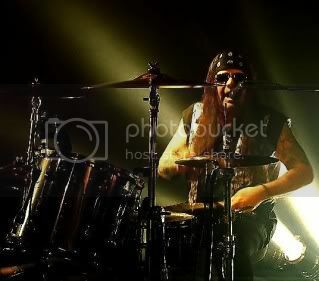 The name will be familiar to anyone who grew up in the ‘80s hair band scene, particularly amongst RATT fans, and Fraser has more than enough studio experience in to know that the new music was in good hands with Hill. 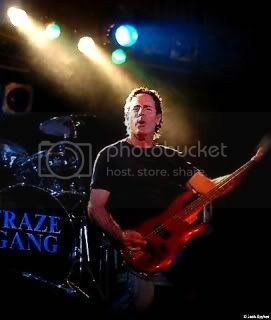 Unlike the Brighton Rock days, which saw Fraser and his bandmates on stage every weekend in and around Ontario if they weren’t on the road for weeks at a time, Fraze Gang has only done a handful of shows since their inception. Not by choice, as it turns out.